Two breweries & one distillery. A beautiful combo! Tour two breweries & one fine spirits distillery in 3 hours with plenty of craft libations! Click for more details. TWO BREWERIES, ONE DISTILLERY IN THREE HOURS. 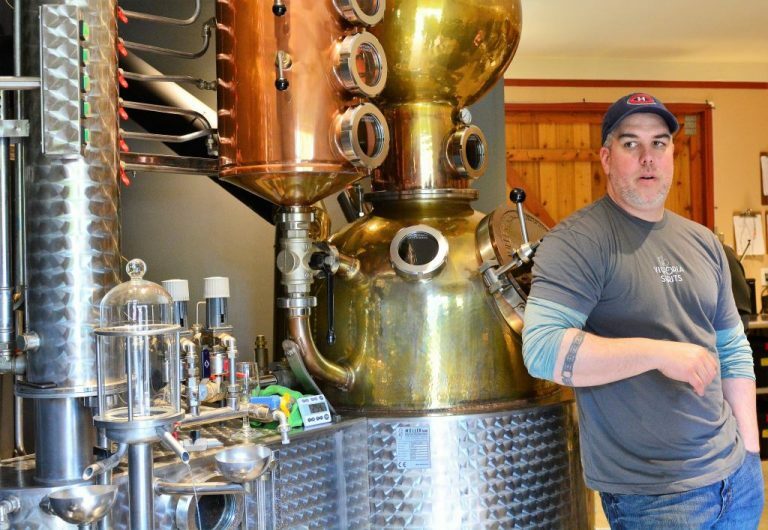 Craft beer & small batch distilled spirits…..a match made in heaven! Two craft breweries & one craft spirits distillery. Tour departs at 12:00pm every Wednesday, Thursday, Friday, Saturday, Sunday (April – October 31). Want to go a different day or time? Private tours can be arranged for groups of 8 or more for any day of the week! Pick up & drop off from the Clipper Ferry Terminal (located in Victoria’s inner harbour at 254 Belleville Street). Full transportation to breweries & distillery on our brew bus, multiple styles of fresh local craft beer & spirits served at each respective location, fully guided back of the house tour with hands on introduction to the craft brewing & distillation processes. Tour duration is 3 hours. Please arrive 15 minutes before tour start time. Must be 19 years of age or older to participate. © West Coast Brewery Tours 2015. All Rights Reserved.